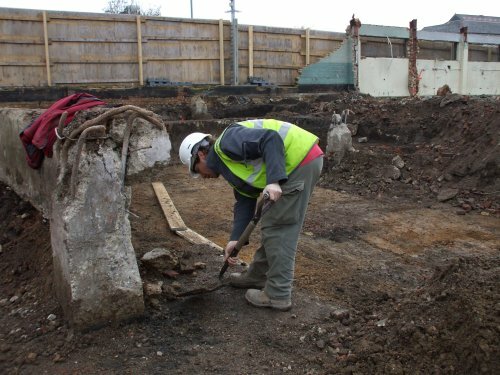 Prescot Dig - What is archaeology? 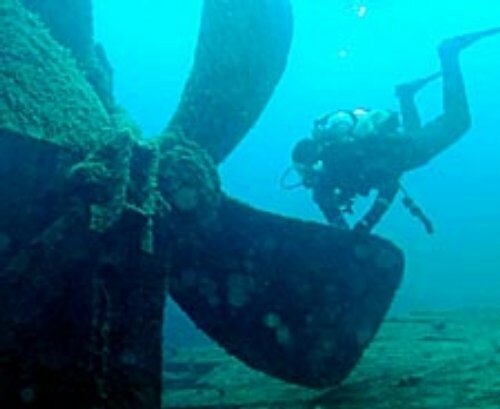 Archaeology is the study of how humans lived and interacted with their environments in the past. Many aspects of archaeology overlap with other subjects such as history, geology, science and sociology. 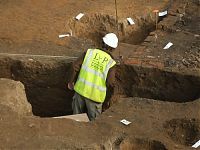 To understand the evidence for human activities in the past, archaeologists have to ‘excavate’, or dig to uncover the buildings, rubbish, burials and anything else that may have been left by people in the past. The excavations that archaeologists do are carefully planned – it’s not just digging big holes! Everything they find is painstakingly recorded, drawn and photographed. 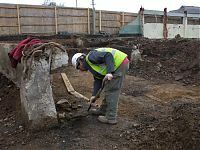 Once the excavation has finished, all the records, drawings and photographs are examined along with the objects that have been uncovered, and archaeologists research what has happened on that site over time. Archaeologists don’t just work on land – there are also underwater archaeologists working all over the world on sites that have been sunk (shipwrecks) or covered by the sea as water levels have changed.